Holy warbringer of the Legio Metalica, the Imperator Titan Casus Belli has routed armies and levelled cities over ten thousand years of service in the name of the Machine-God. As war engulfs the Dark Imperium this mechanical god of battle arrives to destroy the renegade armies and tech-priests of Nicomedua. At the head of a battlegroup of Titans, Imperial Knights and skitarii, Casus Belli must defeat tainted war engines, Traitor Legionaries and armies of cultists. 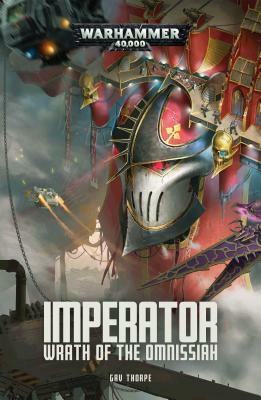 While apocalyptic battles rage across the planet, a no less deadly battle unfolds within the Titan itself, as Magos Exasus, leader of the Casus Belli’s Tech-guard, must find and defeat the enemy within before their insidious plans come to fruition.